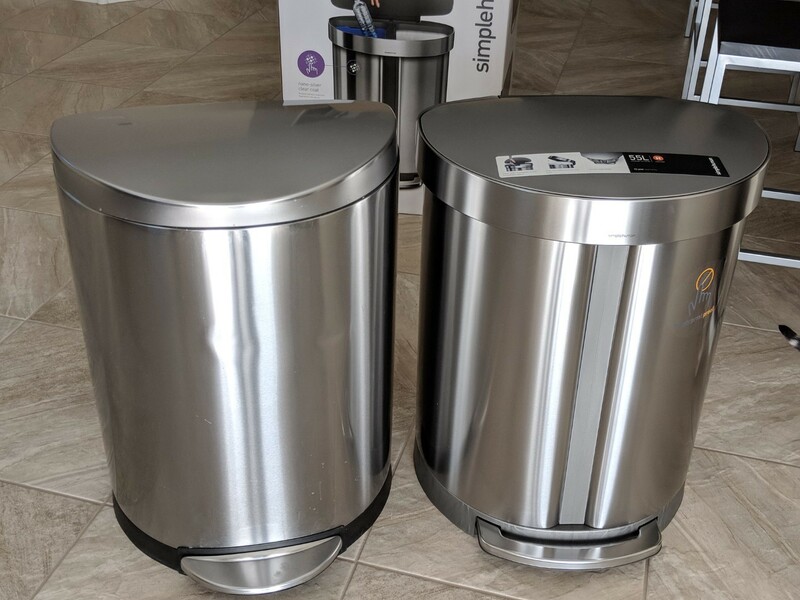 You know you are an old boring adult when you get excited about friggin trash cans. 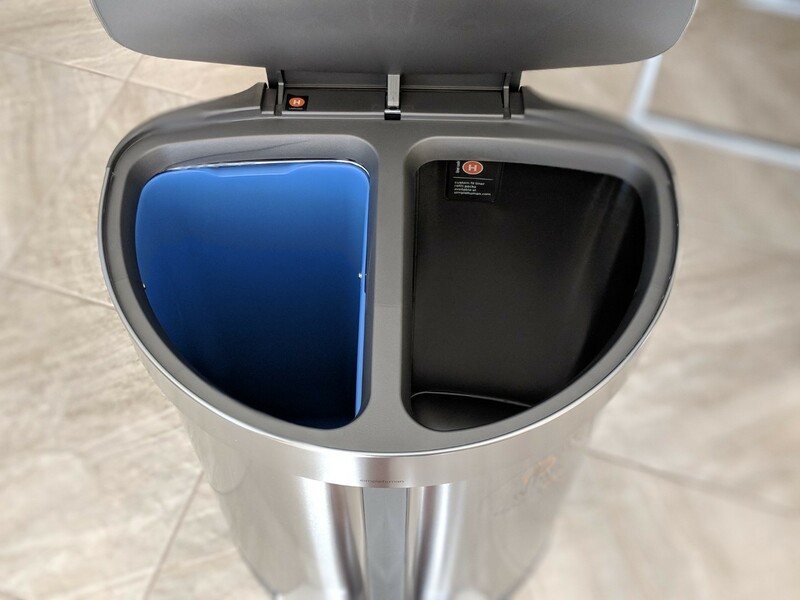 Upgraded our older simplehuman trash bin from 2012 to this dual compartment guy. Had to do it, because although I try to make a conscious decision to recycle, I know I would be better at it if I was visually forced to. Old guy on the left and new jam on the right. Looks wise they are pretty similar but the newer one is a tad bit shorter and comes in at 55L compared to my old 50L. 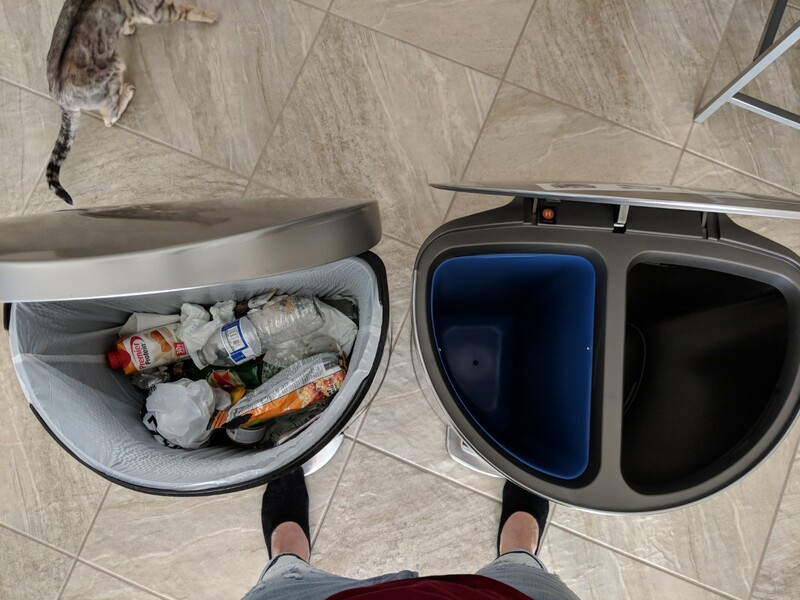 The dual compartment setup for recycling is really nice.